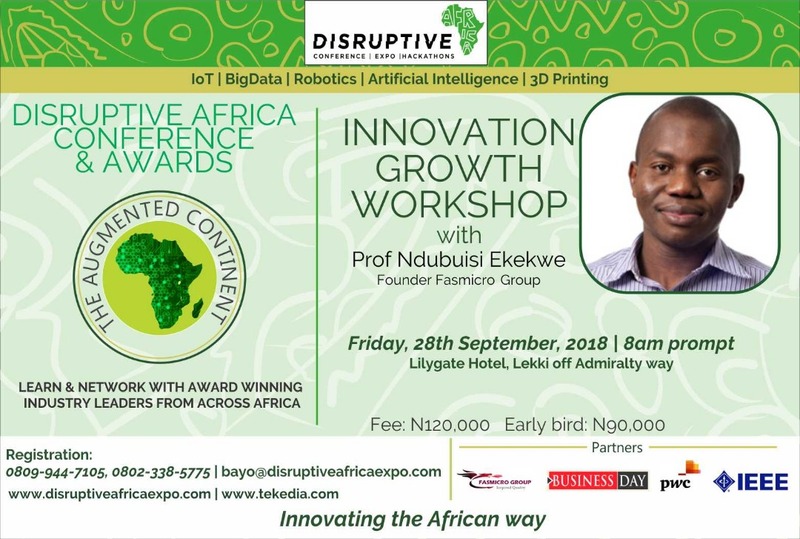 David Alozie is bringing Africa today via Disruptive Africa. I will run a workshop in this event. In one day, you would attend a workshop, participate in a conference and an award ceremony on Sept 28th. You can register on DAX website here. This workshop is designed to be very affordable. It is a balance to at least offer something to those who wanted me but pricing could not get my firm to visit them. I heard the concerns and when David suggested this idea, I approved it. Your payment is largely to cover his cost. David is handling every aspect of this. My job is to bring my team into the workshop and support those who will like to co-learn and co-share with us.